What a week for theme parks and sadly lawsuits. Universal didn't announce a new ride, but a new Simpsons area for eating up treats. 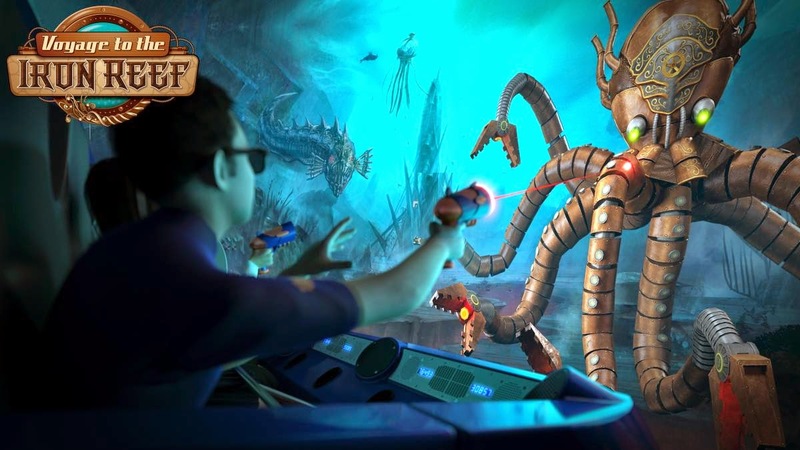 That's blown out of the water with Knott's new Voyage To The Iron Reef a steam punk mix of ride and shooter. It officially opens up Friday and I have to applaud Knott's on what looks like a fun ride not based on a movie. 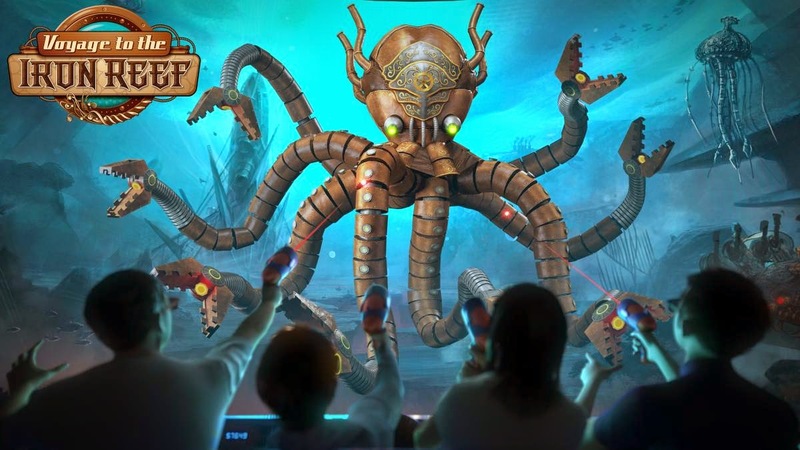 You and three friends can blast away iron clad octopi in 3D glasses with this new interactive ride. Using "freeze rays," (the guns are attached to the ride) you can freeze aquatic enemies all leading up to a battle with the boss, the Kraken Queen. This has the gamer in mind with an exit screen that showcases the "Best Players of the Year,” giving the top five rankings with junior officer at the bottom though lieutenant, commander, captain and finally admiral.